Families already escape to the pavement to avoid road danger on Weyhill Road. 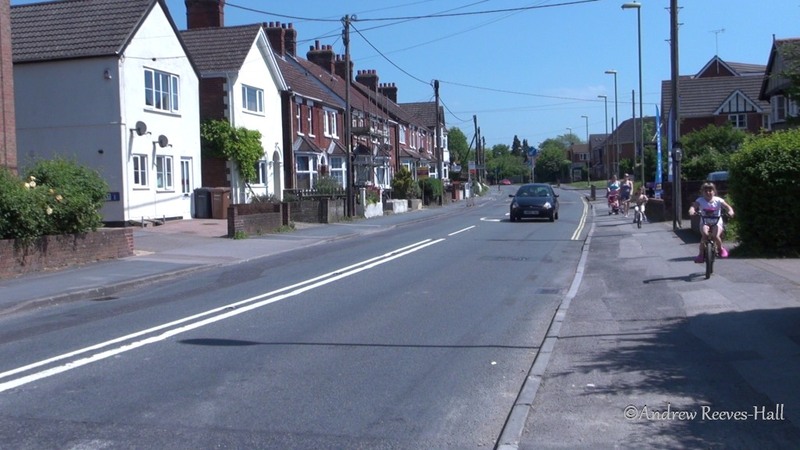 I have been trying my darnedest to convince Hampshire County Council and Test Valley Borough Council that their proposal for a cycleway – a single bidirectional shared path for people cycling and walking – along Weyhill Road in Andover is not of sufficient quality (to put it politely). I made two different proposals – both of which have now been rejected. You can read about them HERE, and HERE. Others, too, have been raising concerns with the councils. 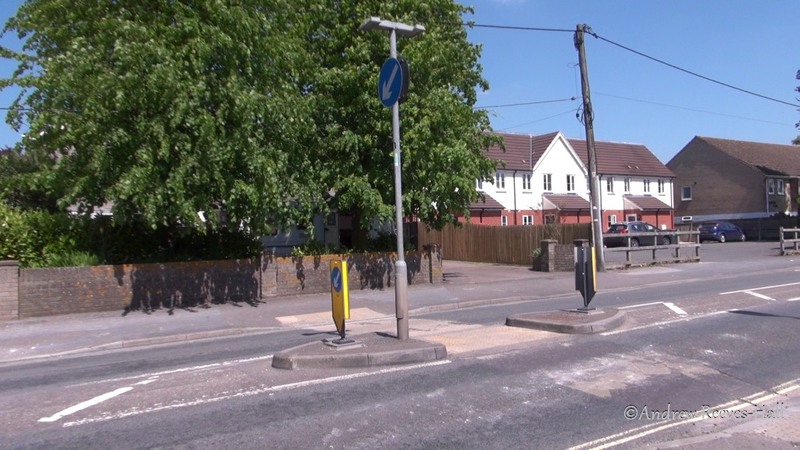 Aside: a report in the Andover Advertiser reveals that there were 11 people who had their letters opposing the scheme published; in contrast, the councils say 11 of the 13 responses they received were in support! The same article reveals the cost of the proposal is £230,000. 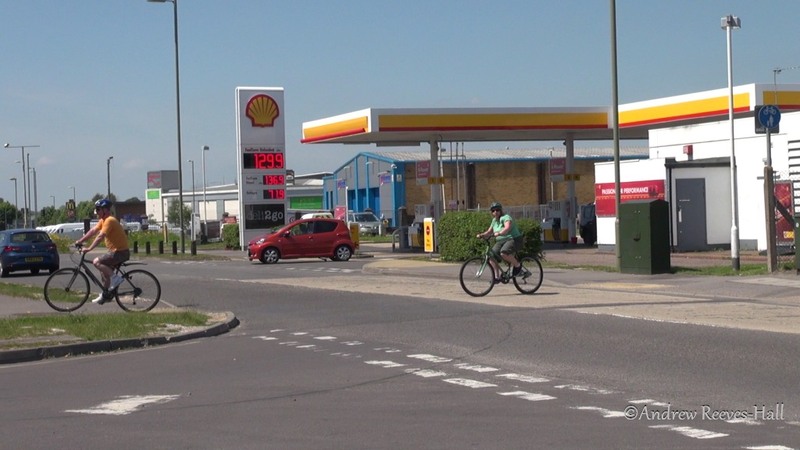 People are forced to cross the busy Weyhill Road unaided by road markings when the existing cycleway abruptly ends. Determined not to let things stand with a potential increase in road danger, I contacted the councils again with my concerns about the proposal – this time to try and get some conditions imposed if (when) they approve their original plan, which is by all indications what they seemed to want to do from the start. Priority at intersections is for people who choose to drive instead of for people walking or cycling on the bidirectional shared path. You won’t be surprised to read that the council rejected my assertion that the proposal was increasing rather than decreasing road danger. Perhaps this says more about the national standards than anything else! SAFETY STANDARDS NOT GOOD ENOUGH? The existing islands aren’t wide enough for people on bicycles to fit safely on them – one or both wheels will protrude into the roadway. 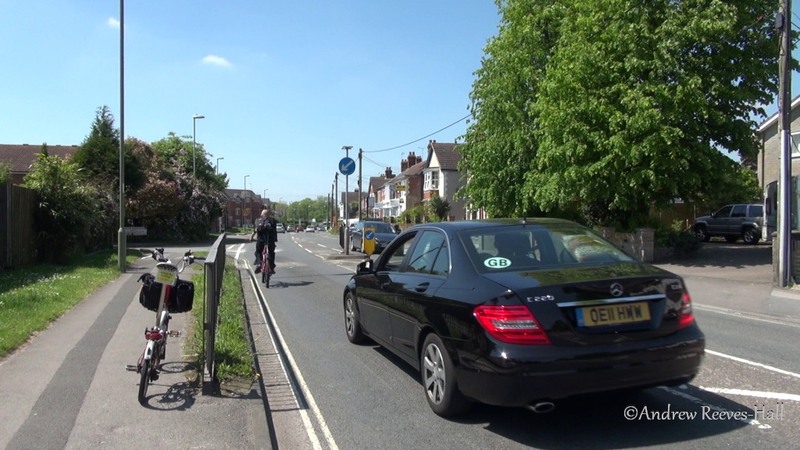 Islands – especially ones near railings – create ‘pinch-points’ which can increase road danger for people that are cycling. Today, the 10th of June 2014 is “decision day” for the cycleway proposal. 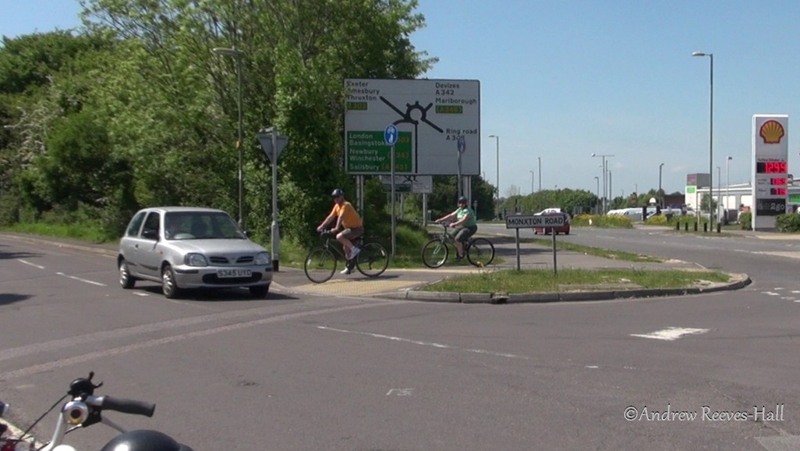 Hampshire County Council’s Executive member for Economy, Transport and Environment, Councillor Seán D T Woodward is expected to give the nod to the cycle way. 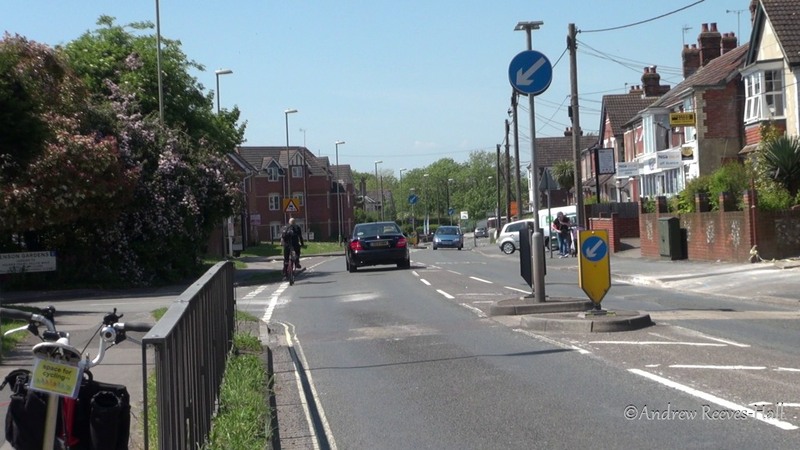 Some people may choose to drive their car quickly around people cycling towards pinch points created by islands and then cut in. Thankfully, that didn’t happen this time. I will update this article when I get a reply! I wrote to the councils (again!) this time hoping to have conditions imposed on the proposal to at least reduce the road danger that I feel it creates. Earlier correspondence can be found HERE and HERE. Can you attach conditions to your decision? signage makes use of new TSRGD 2015 regulations. To avoid confusion, any capital scheme that the County Council carries out undergoes a strict safety audit to check that the scheme conforms to national or any county specific standards. These standards look at all highway users but occasionally there will be specific rare individual needs that cannot be accommodated. That being said the modes of pedestrian and vehicular transport you highlighted are encompassed by the DfT standards set out for highway design. All relevant considerations have been taken into account and if there are any departures from standard this is highlighted in the project appraisal for the decision maker. With respect to your individual suggestions, I will of course take these in to account tomorrow when I make my decision and thank you for bringing these to my attention. PS – if so, can you email me a higher res version?